Show your appreciation to your customers, those builders that give you their business. 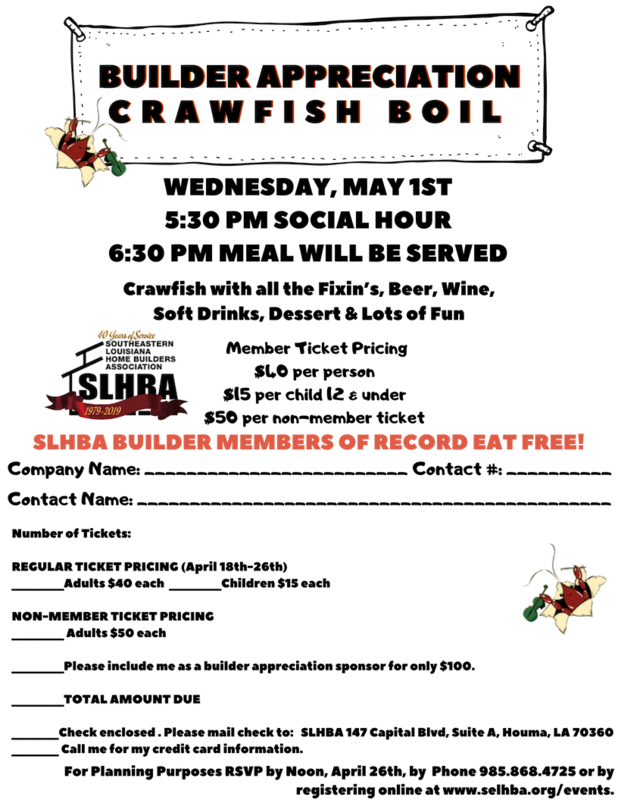 For as little as $100.00, you can become a Builder Appreciation Sponsor for our Crawfish Boil. This will give you signage on the tables and on our website, emails & social media. In turn this helps cover the cost for the Builders to come to the Crawfish Boil for Free. To purchase sponsorships or tickets online, please click here.